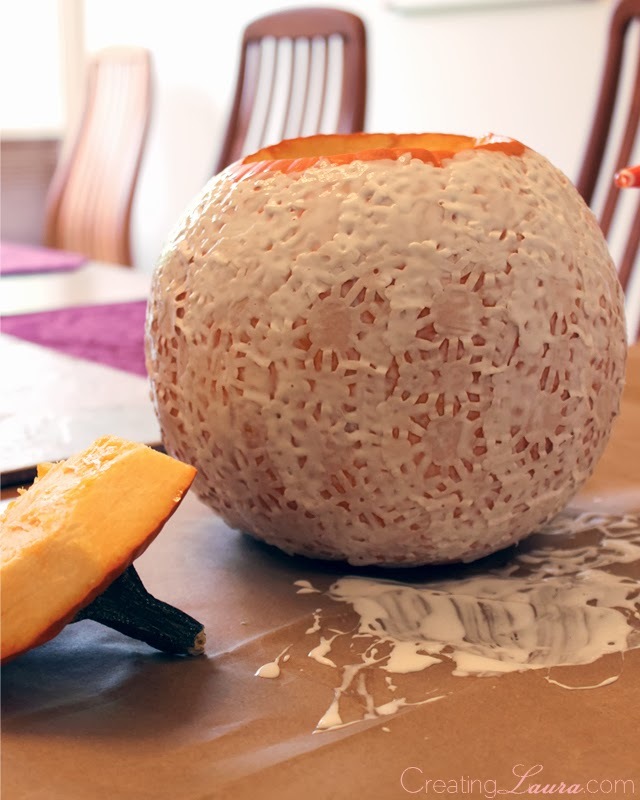 I love Halloween crafts! I feel like the possibilities are endless. Last year, I created mason jar jack-o”-lanterns, and I tied myself a poofy tutu the year before that. This year I was so excited for Halloween crafting that I ended up making three things! 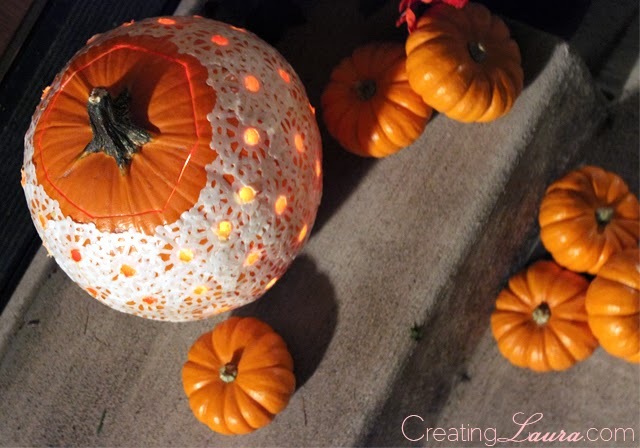 There was the Halloween party backdrop last week, today I’ll be sharing a pumpkin that I decoupaged and drilled, and I have one more project up my sleeve for next week as well. 1. Cut the doilies in half. 2. 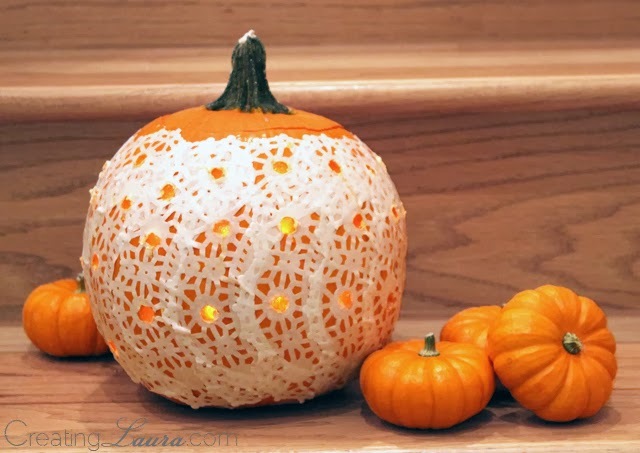 Cut out the solid center of the doilies so you’re left with just the pretty outside parts. 3. 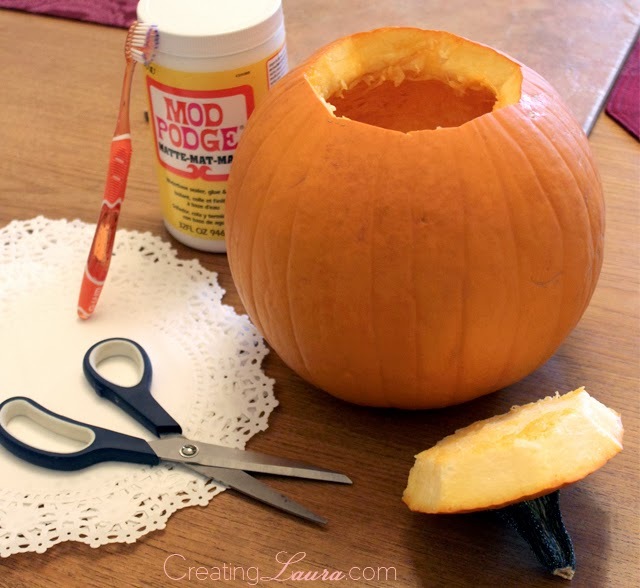 Using the tooth brush, paint some mod podge onto a portion of the pumpkin. Place a doily piece on top of the mod podge, then brush more mod podge on top of the doily. 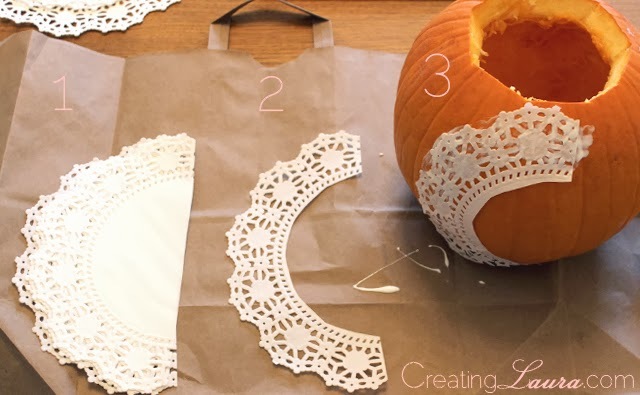 Repeat this step over and over until the entire pumpkin is covered in doilies. Wait a few hours for the mod podge to dry. Once it’s completely dry, it’s time to start drilling! 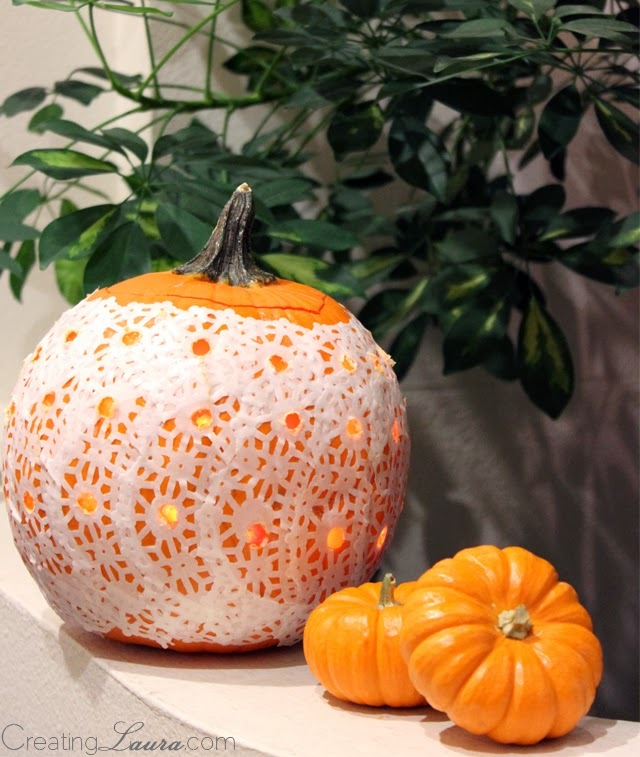 Use an electric drill, to make little holes all over the pumpkin, preferably in spots that make sense with the doily pattern. 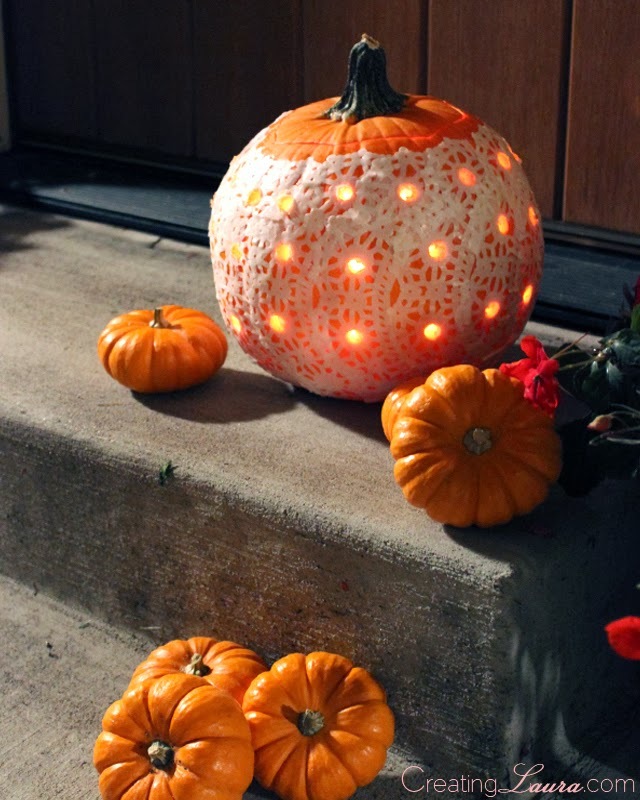 Pop a candle or two inside the pumpkin, set it on your front porch, and you’re all finished! This is so pretty! 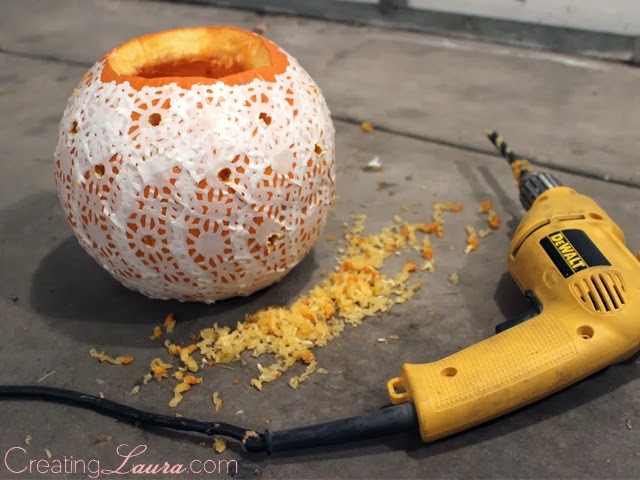 I love that your pumpkin requires power tools!